While summer might bring with it sun-kissed skin and beachy hair, it can also bring on some unnecessary stress. You know, the type of stress that can make us do crazy things, like trying a fad diet or over-exercising. While it’s perfectly okay to want to look and feel your best while in a new swimsuit, getting in shape is about more than weight. 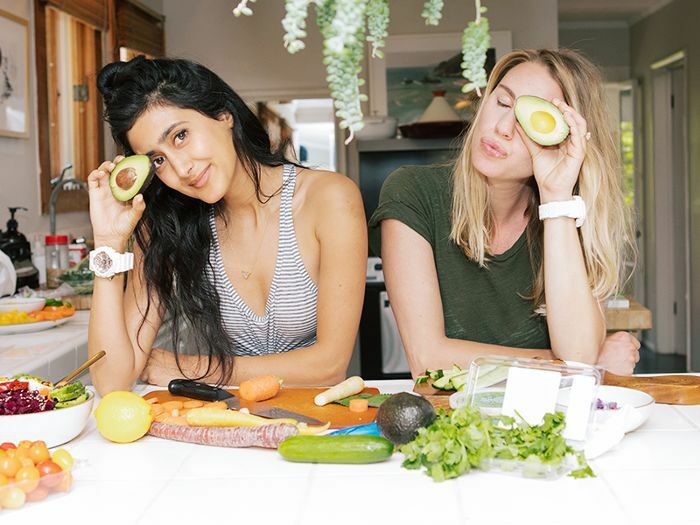 “It isn’t just about working out, green juice, and chia seeds; it’s about feeling balanced and capable to be able to handle every avenue of life with confidence and ease,” says Tara Sowlaty, co-founder of How You Glow. In an effort to get our minds and bodies in shape the right way, we got in touch with three of our favorite health gurus—Sowlaty and Jessie De Lowe of How You Glow, and Caley Alyssa of MindBodyGreen—for expert tips on improving our overall well-being. Our main takeaway? Nothing dramatic needs to happen. As long as you have a positive mind-set and make a routine (hint—it helps to get a watch like the G-Shock S-Series to help you stick to one), you’ll be in a good place. Need more inspiration to kick-start your wellness plan? From staying hydrated to eating locally, these are the easiest ways to start looking and feeling your best year-round. And Sowlaty has a similar mind-set: “Routines go hand in hand with a watch—stick to your schedule and stay on top of your goals.” The good news? The G-Shock S-Series can really help you get on track. Aside from having multiple alarms to help break up your snacks and meals throughout the day, it also has a countdown timer and stopwatch for your workouts. Our go-to recipe this time of year: a chopped salad consisting of kale, cucumber, cherry tomatoes, broccoli, roasted sweet potato, carrots, avocado, lemon juice, and salt and pepper. Place all ingredients into a bowl in a linear formation, squeeze half a lemon on top, and add salt and pepper. We all know the importance of staying hydrated, but how many of us actually do so? It’s easy to forget, but once you get yourself into a routine, it’ll become a habit. Whether you have to clock in on the hour to drink a glass or prefer to carry a bottle on the go, keeping your body hydrated will naturally increase your energy level, flush out toxins, and boost your immune system. Alyssa agrees: “If anyone wants to kick-start their wellness for summer, start by drinking a massive glass every morning, and continue throughout the day.” And guess what? The G-Shock S-Series has a built-in hourly time signal for staying hydrated, so you have no excuse for not drinking your water regularly. One goal should be prioritizing exercise. Even if you only have 10 minutes to spare, find a way to get active. “I feel strongly that working out should be something we do almost every day,” explains Alyssa. “It should include a variety of movements and exercises to keep your body learning and growing stronger.” Remember that it doesn’t have to be intense—everything makes a difference. If you don’t belong to a gym, you can easily go on a hike, run on the beach, or do stairs outside—just find something that sticks and will have you counting down the hours until it’s time for your workout. “A good rule of thumb is that if you can find it at your local farmers market, it’s a great option,” says Sowlaty. Both she and De Lowe say to look for seasonal options and focus on items like dark leafy greens, avocados, and fermented vegetables. Any produce that you can’t find at the market can be bought at the grocery store. Another tip? “Always buy in small quantities to keep everything as fresh as possible,” they share. Ready to kickstart your wellness plan? 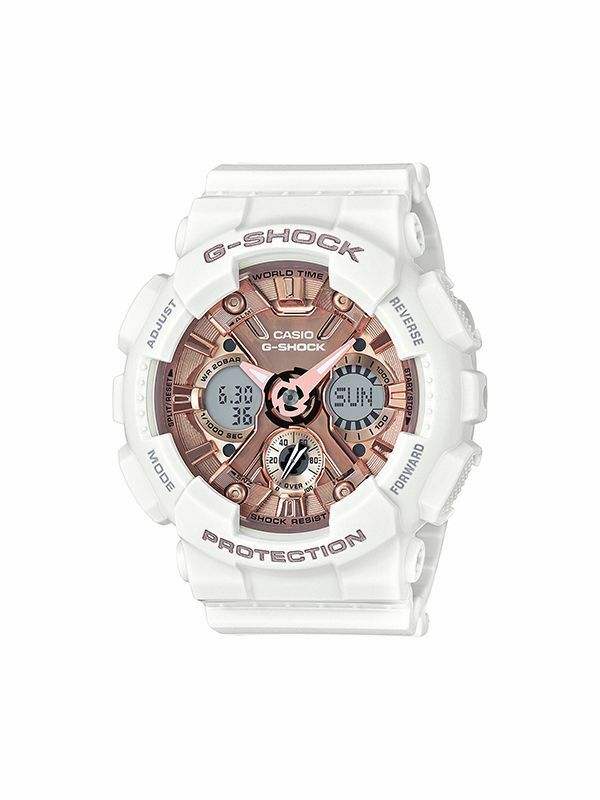 Get yourself a G-Shock S-Series to help keep you on track. Want more watch inspiration? 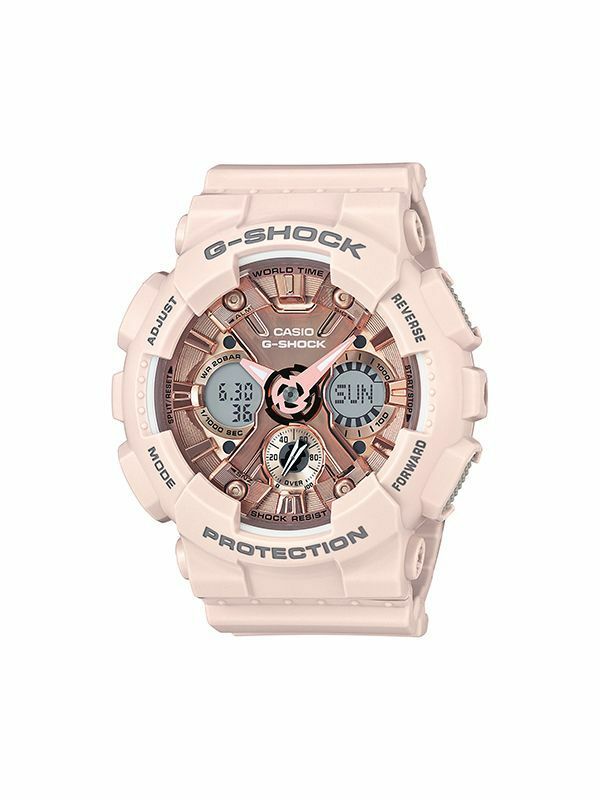 Head over to Casio's website to shop the entire G-Shock S-Series collection.